On sale now! 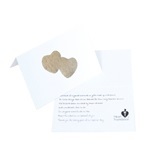 Normally $6.00 Buy now for $3.99! 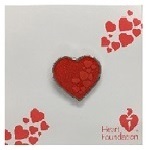 Your purchase supports the Heart Foundations lifesaving work. 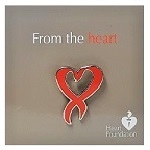 Wear our heart over yours, in memory of a loved one. 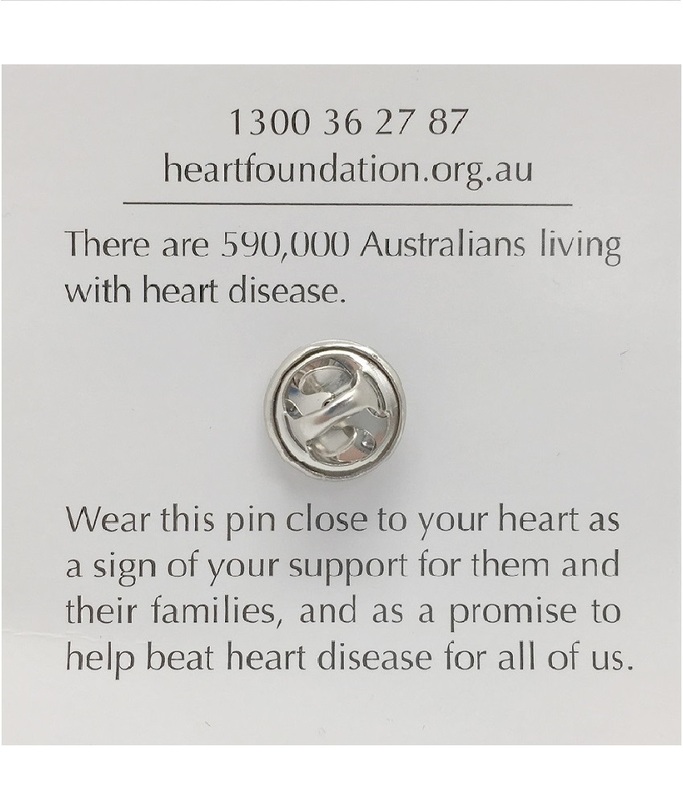 Sadly, everyday 55 Australians are lost to heart disease. 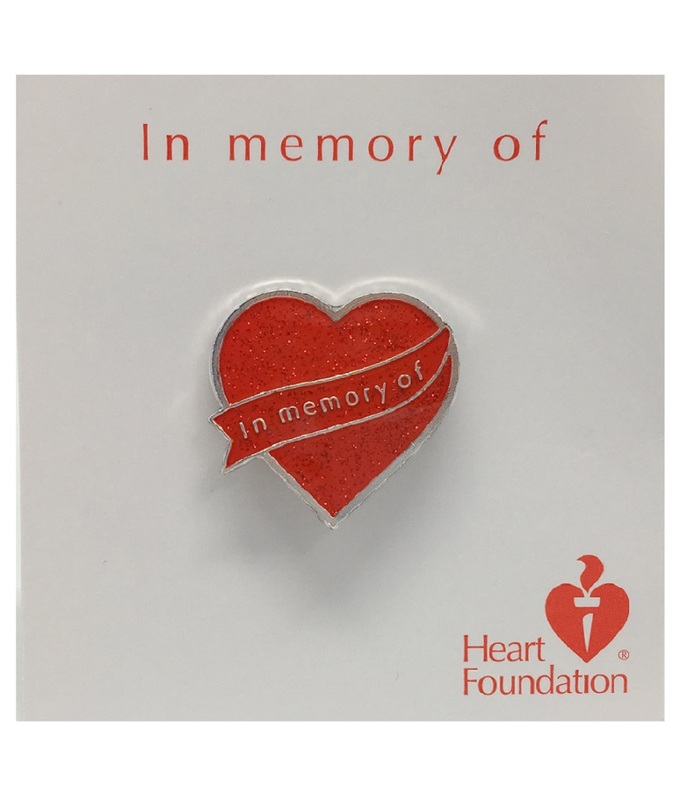 Wear this lapel pin close to your heart in memory of your loved one, and to show support for families that, like yours, have been touched by heart disease.